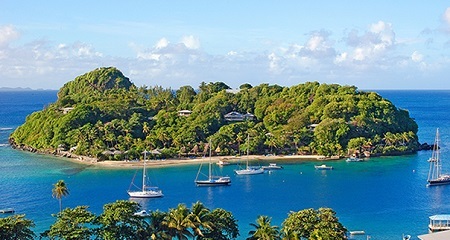 in St. Vincent and the Grenadines, West Indies! * 2 Nights Maximum Stay, multiple rooms not available. 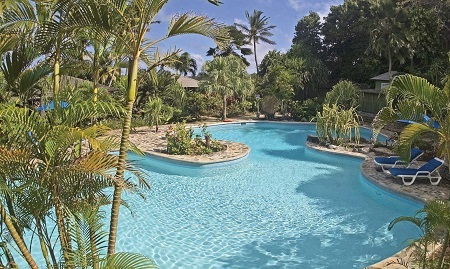 Imagine Eden, a lush oasis abundant with tropical flowers, birds, and fish. Add crystal blue waters, warm sunshine, and superb cuisine and you begin to understand our private island paradise. 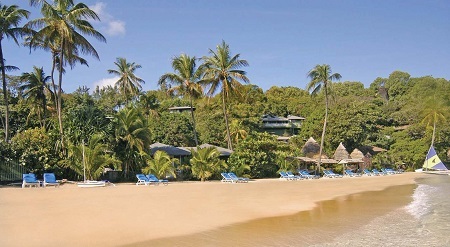 Young Island cottages, dining, bar service and gardens reflect our exemplary service and attention to detail. We want your vacation to be as relaxing and enjoyable as possible. Young Island is located offshore from St. Vincent in the Eastern Caribbean. This offer does not include transfers. King-bedded cottages nearest the beach and shoreline, or low on the hillside. Although mostly free standing, some Superior Cottages can interconnect to accommodate families. The king bed can be replaced with two twin beds. Accommodations are Cottage Style with sea view, open-air garden shower and private patio. All Cottages include a small refrigerator, hair dryer, digital safe, and ceiling fan. A Single supplement of $125.- per person is available to those of you traveling or rooming solo. Transfers to Young Island Resort are not included. For more information on getting to the resort, please click here. A tax and service charge of $49.oo per person per night is additional.